Today marks the start of our holiday season, and the first families going on their much-needed break. The new caravan at Primrose Valley, Filey. Some images shown belong to Haven. This week we will support 21 struggling families to have a seaside break. For some it will offer the children the chance to paddle in the sea, build a sandcastle or fly a kite for the very first time. This can only happen thanks to the help and donations of our generous supporters. This year, we are delighted to announce that we have two new caravans; one at Primrose Valley near Filey, and another at Craig Tara in Ayrshire, both of which are ready to have families stay in for the first time today. We have also replaced one of our aging caravans at Devon Cliffs thanks to the amazing response to our Caravan Appeal last year. 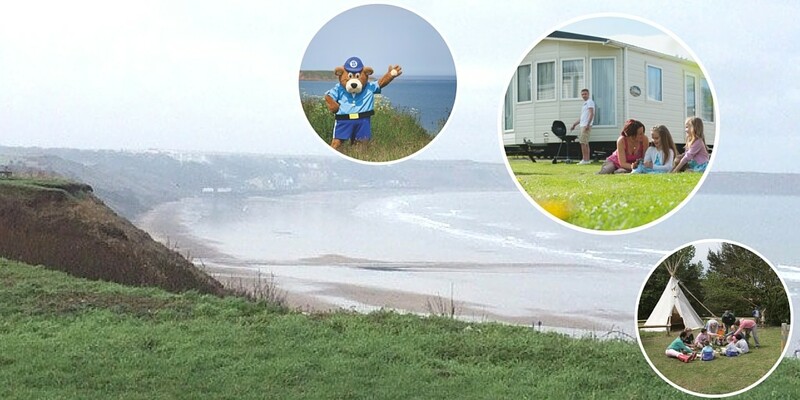 Our caravans are located at Haven or Butlins holiday parks at seaside locations throughout the country. Between seasons when the sites our caravans are on are closed, our Programme Team visit each caravan to check they meet our exacting standards and schedule any maintenance work. This work covers every detail, and ranges from re-upholstering sofas to repairing door handles, so that the families we support can fully enjoy their much-needed break. We’re looking forward to hearing from all the families going on their break today, and wish them the best time creating happy memories together!